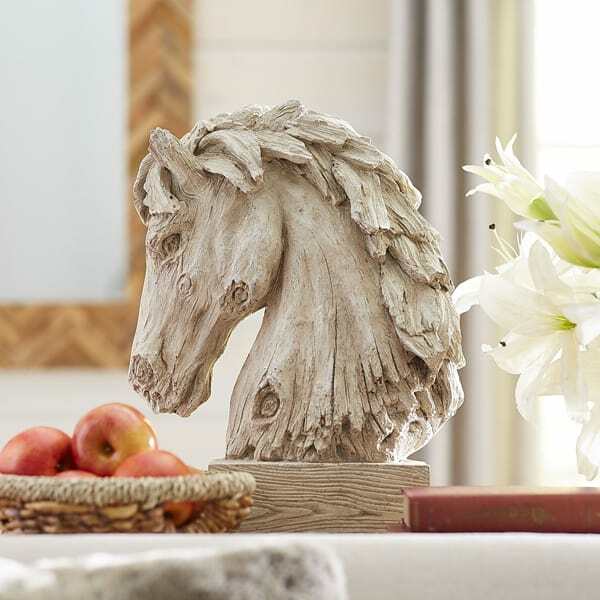 Dress up your home with these horse heads! What makes a perfect shelfie? Great styling and accessories, of course! 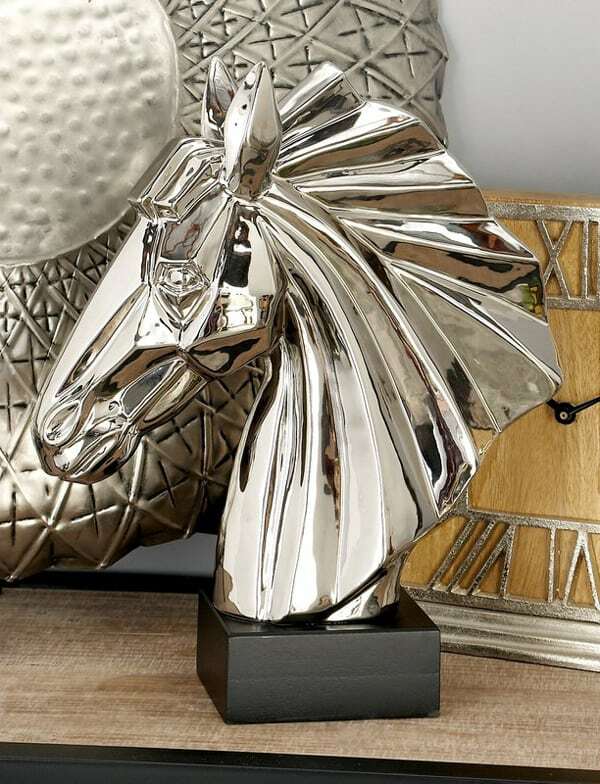 A horse head sculpture is a must have for your perfectly styled shelf. Check out these beautiful options. 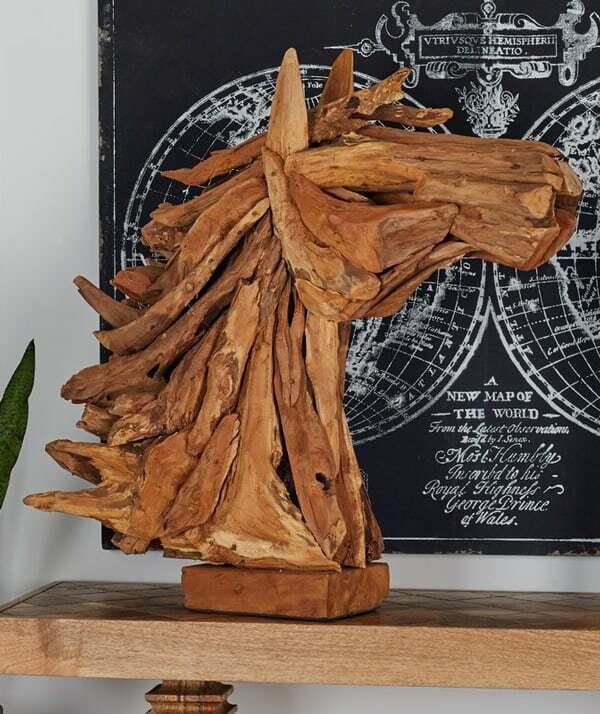 This rustic horse head is perfect for a farmhouse. 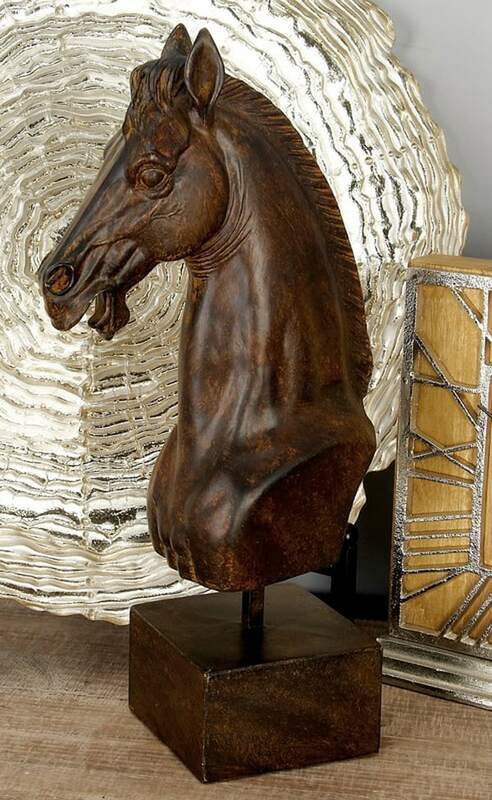 The champagne patina horse head is a classy piece. For a modern touch, try this porcelain sculpture with a silver finish. Driftwood figures are also a versatile option for your shelf. They can read western or nautical depending on the decor. 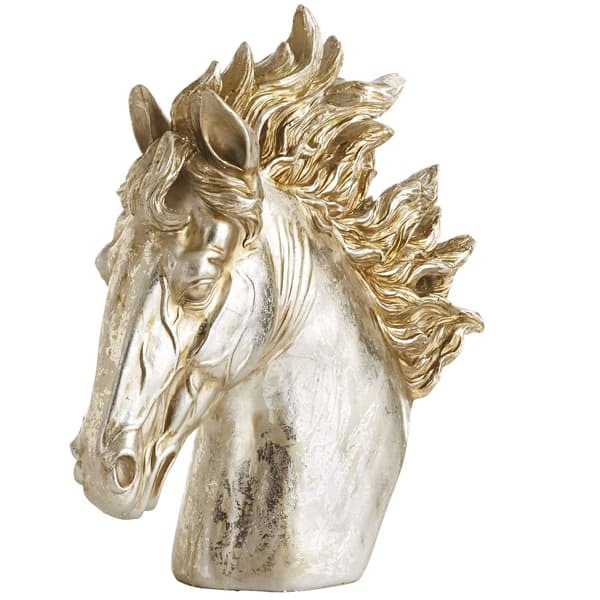 For a more refined equestrian look there is this faux bronze horse head statue. 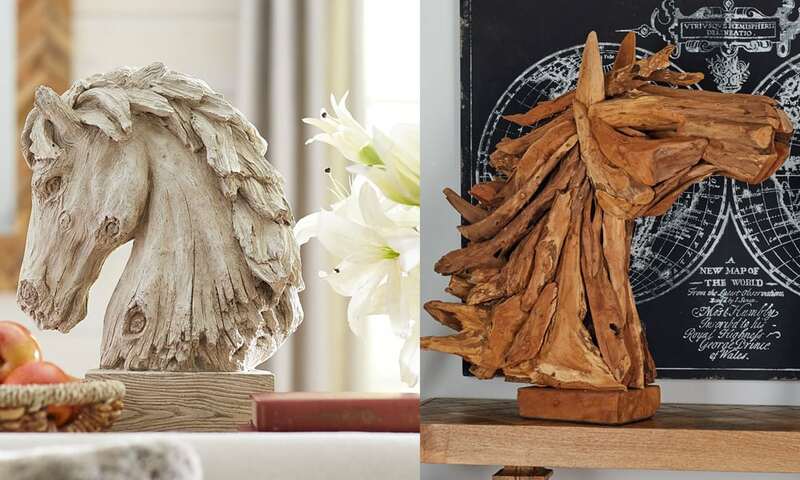 No matter what option you pick, these horse head sculptures are guaranteed to make you have a perfect shelfie.